Oh boy..but I bet they are having fun in all that snow! 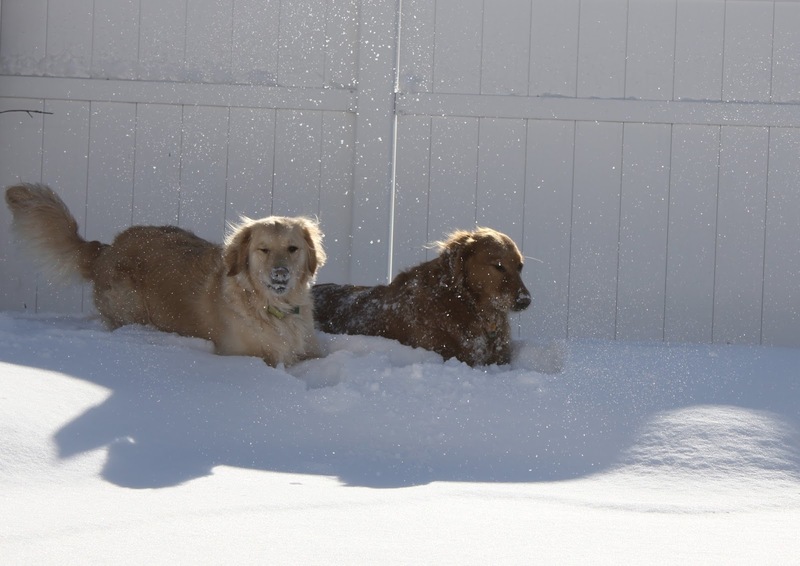 That is a lot of snow and the looks on their faces is priceless. HAHA! Brrrr! Still snowing eh? They look like they love it though! OMD, I finks you found all the snow everyone else was missing, wow that's deep! Snow Paws! Deep in the heart of winter! We're expecting more of that cold wet stuff today. Stay safe, warm & happy. Wow! Look at all the nice fluffy snow you have! Ours is all soggy and melting. Wow! Look at all that snow! That looks like a lot of fun! Oh my - where are you? That's a great deal of snow you've got there. They look like they are having a ball. Wow, that looks like a lotta snow! Rita wants to come over and play! That is quite a bit of snowwwww! Enjoy! Wish we had snow to wipe out in! This winter has been a real dud!